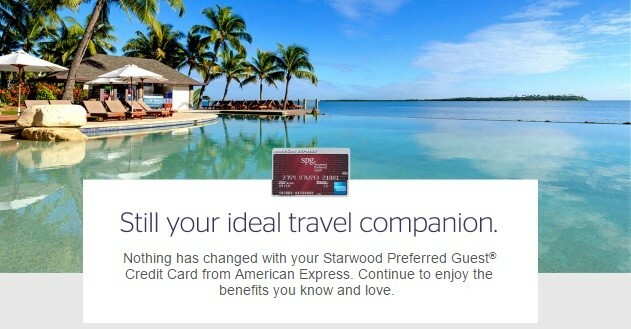 Nothing has changed with your Starwood Preferred Guest Credit Card from American Express. Continue to enjoy the benefits you know and love. The good news is that for the foreseeable future we’re going to still have our existing portfolio of co-brand cards. As you mentioned, the Starwood Preferred Guest Card from American Express is loved by many, the same with the Chase card for Marriott Rewards. I think over time, not only for the credit card but for all of our partners, we’re going to have to figure out how you bring the best of both worlds together.